My mother-in-law Lucy refers to some people as having a clear head, and she doesn't mean that their thinking is clear. Rather, there's a clear space where the brain should be. I'm sure if she knew I'd spent my Sunday evening rendering two pounds of leaf lard she'd consider me among the clear headed. But once she tastes the pie crusts I plan to make with the finished product (pictured above), I don't expect any complaints, for pie crusts made with leaf lard are really, really good. 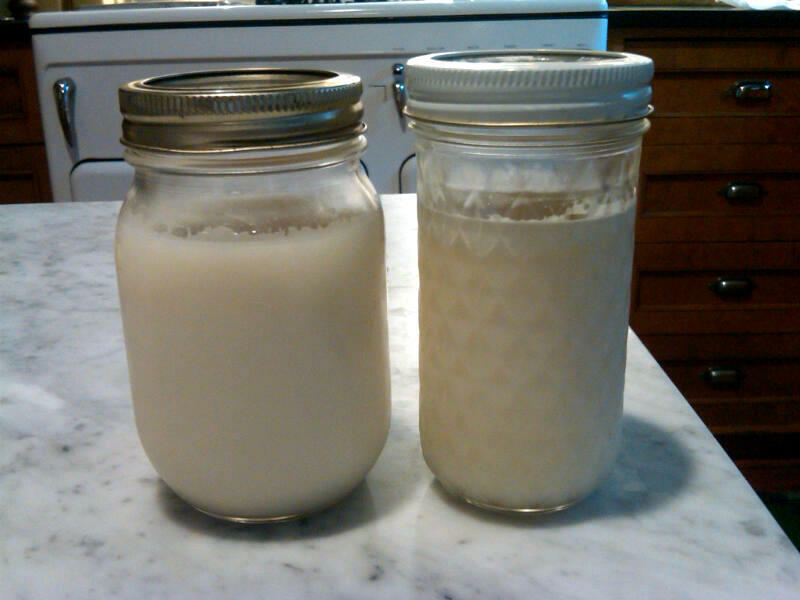 The cubed lard starts out like this, above, and after a few hours, looks like this, below. There are plenty of websites with detailed lard rendering instructions, but basically you cut it into one-inch chunks, place in a large saucepan with a bit of water and let it render, or release the fat, slowly over a low fire. Strain through a cheesecloth and then refrigerate. 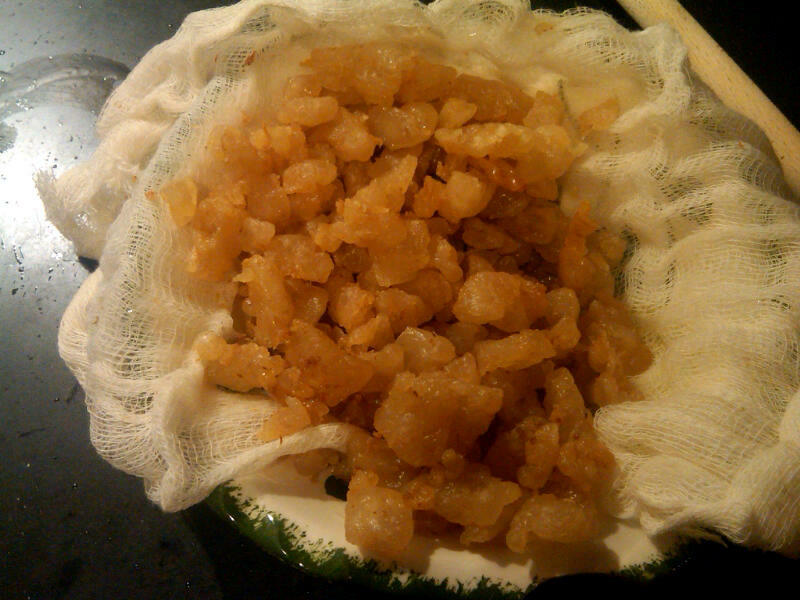 While one can buy rendered leaf lard at farmers markets, if you do it yourself you get not only the lard, but the crispy cracklings, which are delicious. 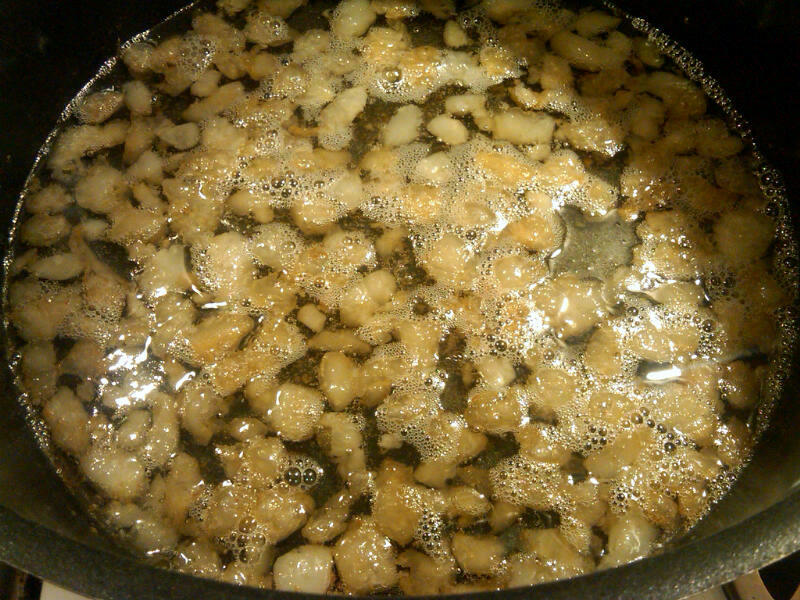 The cracklings. Don't know exactly what they are, except delicious. 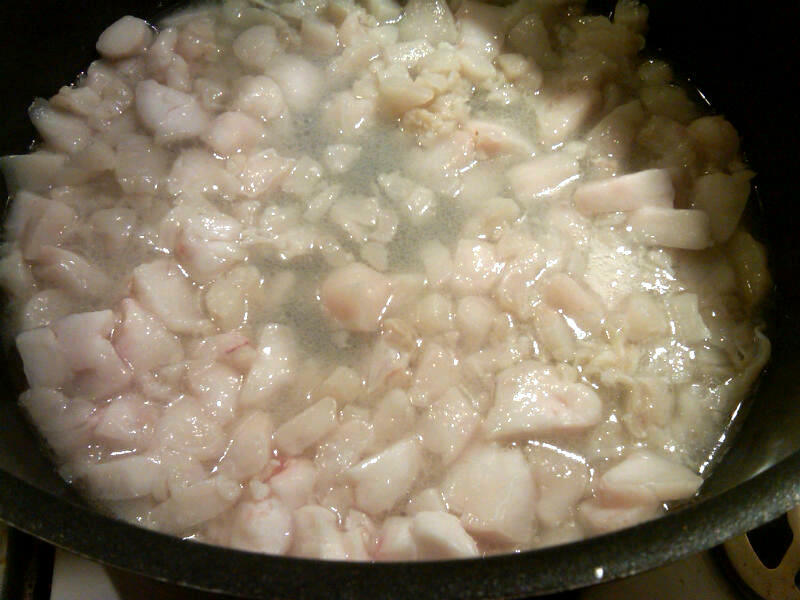 it will be made with home-rendered leaf lard. 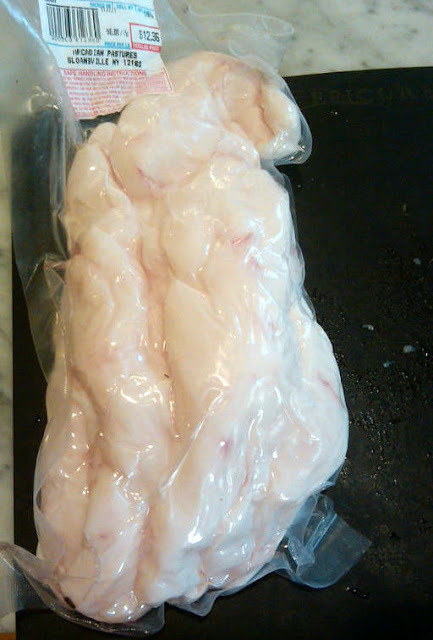 Where can I get leaf lard in Brooklyn? Not sure where my neighbor bought this but probably at the Grand Army Plaza farmer's market -- it's from the Arcadian Pastures stand. I've seen rendered leaf lard for sale there at the Flying Pigs Farm stand.